Paul Williams, President of UGJ, is particularly interested in personal taxes, business taxes, restaurant and management turnarounds, small business, self-employed individuals, real estate development and manufacturing fields. Paul's goal, as he states it, is "to help existing and new clients improve their personal and financial lives and assist companies to grow and prosper." Paul looks forward to serving our client's financial needs and building relationships that are long-lasting. Paul received his degree in accounting from Miami University. In addition to running his accounting firm, he teaches at the West Chester branch of Miami. Before joining UGJ, Paul held positions with Pepsico, YUM! Brands, Kinkos and banking. His hobbies include running, biking and swimming. He and his wife, Mary, have three children who played tennis, baseball and basketball. He grew up in Butler County and continues to pay it forward as a past board member of Fairfield Chamber of Commerce. 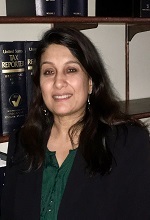 Swati Parikh, a CPA since 1992, has been with UGJ for 6 years. In addition to individual and business tax preparation, she has an interest in supporting small business accounting and growth as well as individual tax planning. She looks forward to building long-lasting relationships with her clients. Swati attended the University of North Carolina at Chapel Hill, where she received a Bachelors degree in Business Administration and a Masters in Accounting. Prior to UGJ, she worked at PricewaterhouseCoopers and she was an Accounting Manager and then the Treasury Manager at Medlmmune Inc, now a division of AstraZeneca. Swati and her family have resided in the Mason area since 2005. Her hobbies include reading, scrapbooking and travel. She also enjoys networking at Chamber of Commerce and Community Foundation events. 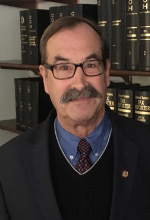 Kurt Jacobsen has been at UGJ since 1987. 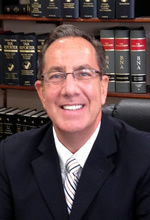 His interests include helping clients with the IRS and preparing tax returns to prevent IRS issues. In addition to tax planning, he likes working with small business advisors. Kurt graduated from Miami University with an MBA in Finance. Prior to UGJ, he was a Certified Cash Manager at Armco's Treasury Department. He has been a teacher at Miami University. His hobbies include Rotary Club and Chamber of Commerce.